If a Membership Period is incorrect, please contact your state administrator to manually change it in the member's record. From the member's record, hover over Member History and select Membership Periods. You will see a list of the member's Membership Periods. Click on the edit icon at the beginning of the row you want to change. Enter the correct information and click Update Rego Period. 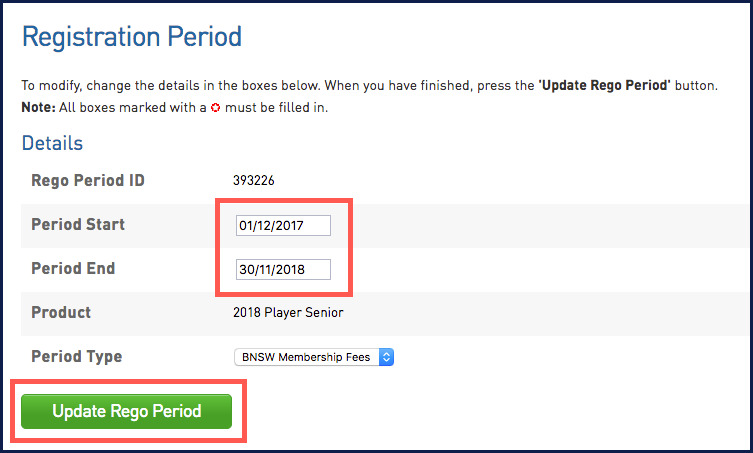 When you go back to the Membership History, you will see the corrected dates.